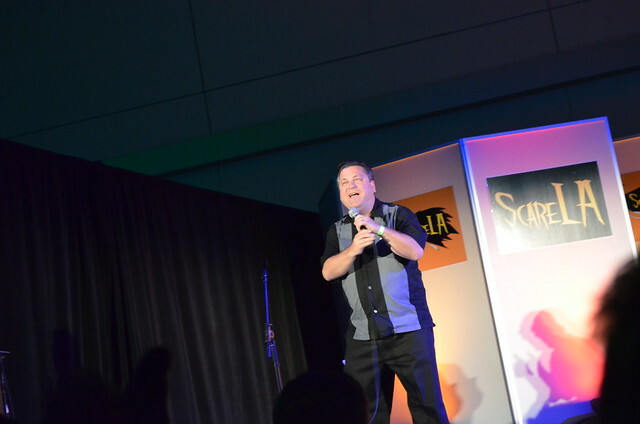 ScareLA is back for it’s third year and is now located in the Pasadena Convention Center. 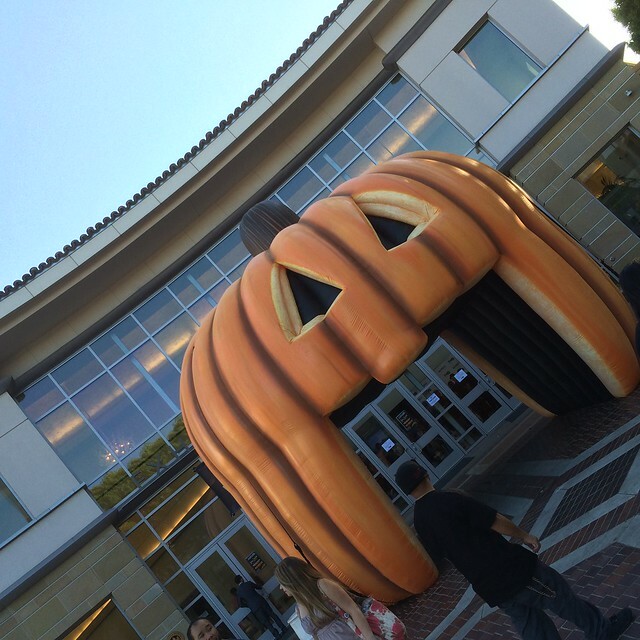 The event is larger than ever and has everything a Halloween fan could wish for. 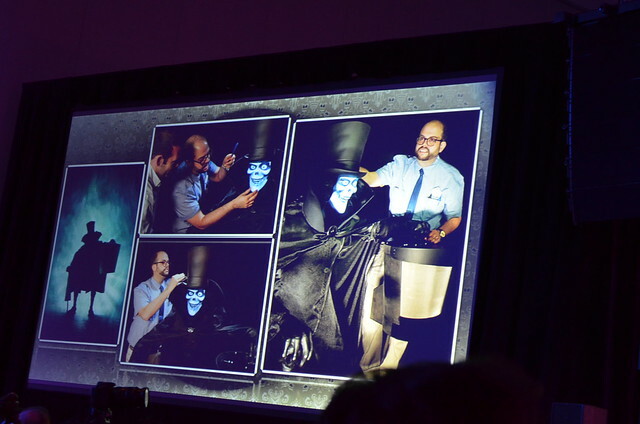 The event started off with a panel about the Hatbox Ghost figure from the Haunted Mansion. Tony Baxter, Kevin Kidney, Jody Daily, Daniel Joseph, Doug Barnes were all up on stage talking about the history of the original figure and the new version restyle added to the mansion. The new version has been many years in the making and has been created by a ‘grassroots effort’ to get the new version fabricated and installed. They also gave some hints at a version making it’s way over to the Haunted Mansion in Florida, but only time will tell. 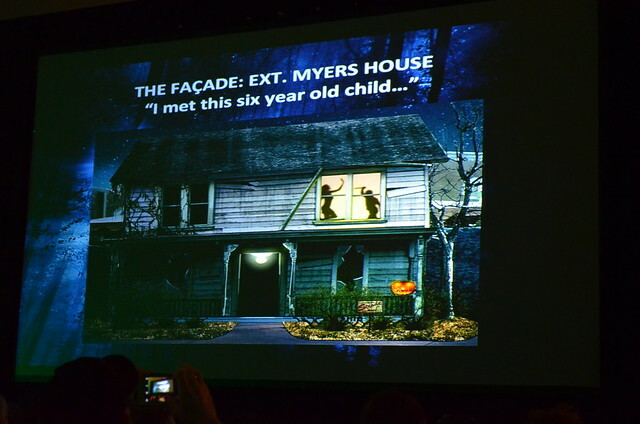 Universal Studios Hollywood had a presence and announced one of their newest mazes for Halloween Horror Nights, Halloween: Michael Myers Comes Home. Creative Director John Murdy and Art Director Chris Williams were on hand for the announcement and said they are trying to put you into key and memorable moments from the film when you are in the maze. The maze will mostly be based off the original Halloween film, but will feature some small details and elements from the later films. One sequence in the maze will use a pepper’s ghost effect, something I am really excited to see used. The maze will be located in the Parisian Court section of the park and will have a full facade of the Halloween house. 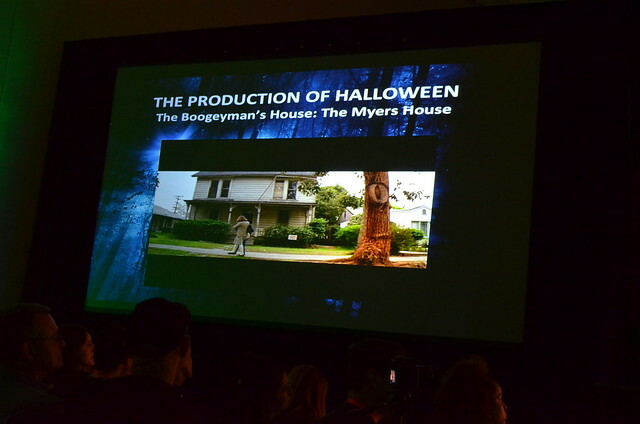 “Halloween is the ultimate classic slasher film that spawned an entire horror film genre,” said John Murdy, Creative Director at Universal Studios Hollywood and Executive Producer of “Halloween Horror Nights.” “Bringing John Carpenter’s disturbing, cutting-edge vision to life as part of ‘Halloween Horror Nights’ is the ideal complement to our maze lineup as we continue to break creative ground with outstanding horror icons that raise the intensity level of our experience.” Halloween Horror Nights has announced mazes themed to the Walking Dead, Insidious, A 3D maze themed after the film This Is The End 3D and the new Guillermo del Toro film, Crimson Peak. They are also hosting an new show at the event with the Jabbawockeez. 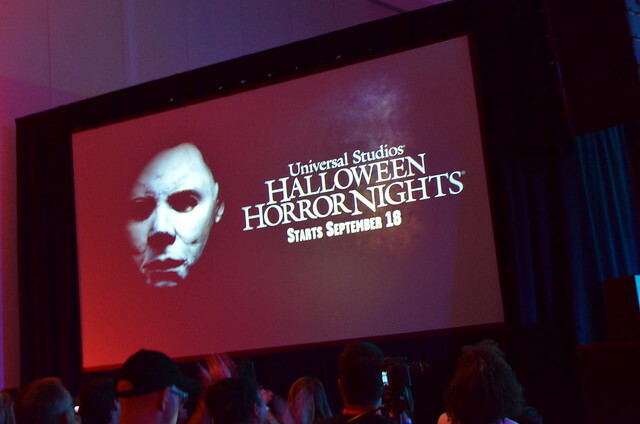 Halloween Horror Nights starts September 18th. 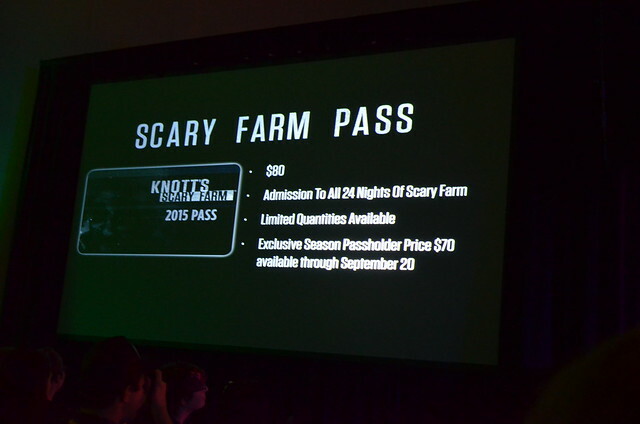 On Sunday Knott’s Berry Farm released some details about Knott’s Scary Farm for 2015. 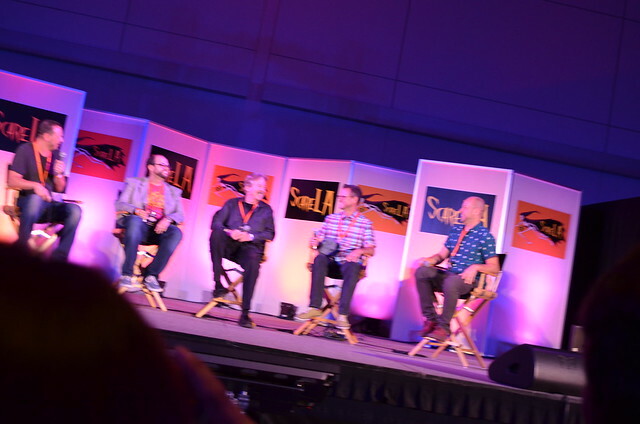 And the panel was hosted by the wonderful Jeff Tucker. 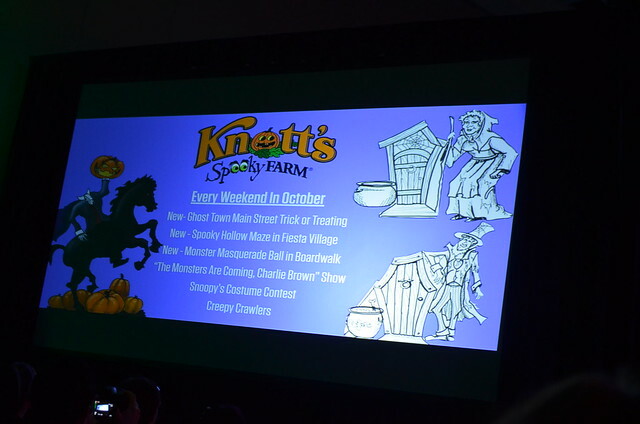 They are going to have a new children’s Halloween event this year called ‘Knott’s Spooky Farm’. 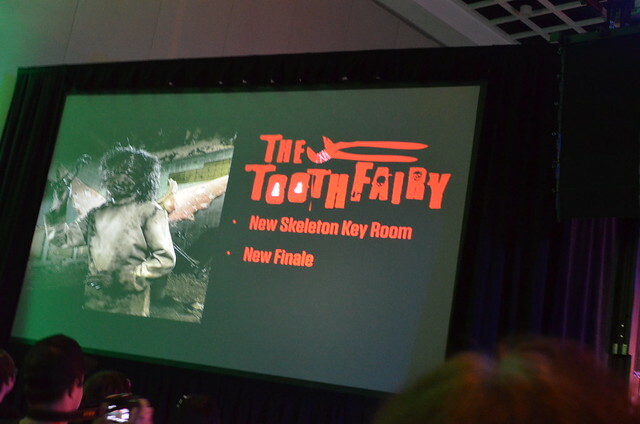 The park has announced the return of The Tooth Fairy and Gunslinger’s Grave. 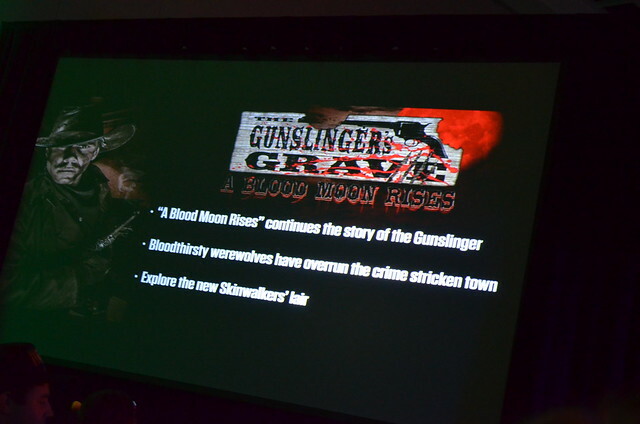 Gunslinger will be refreshed for it’s third year and feature a new storyline with werewolves along with the subtitle, ‘A Blood Moon Rises’. 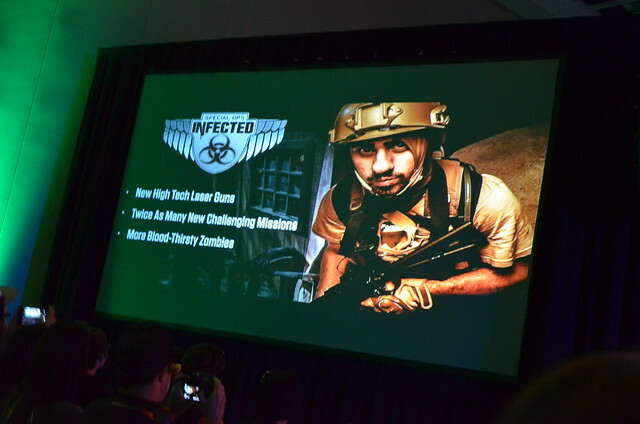 Special Ops Infected will be back with better capacity and a new shooting system. 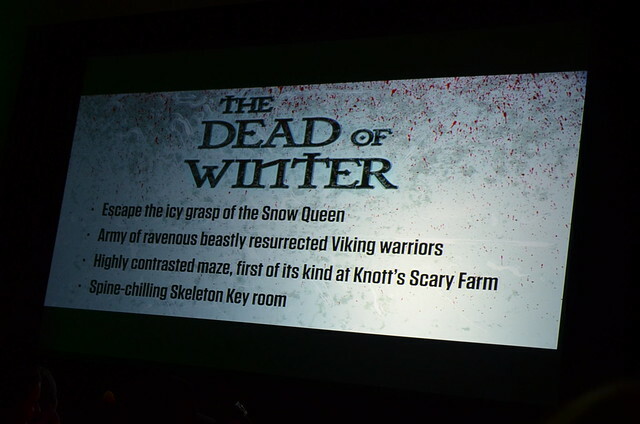 A new maze, titled The Dead of Winter, will be featuring a storyline about a Snow Queen who is taking revenge on the nearby village. The new maze will be housed indoors in the Boardwalk Ballroom giving tthem a controlled environment with the air conditioning system. 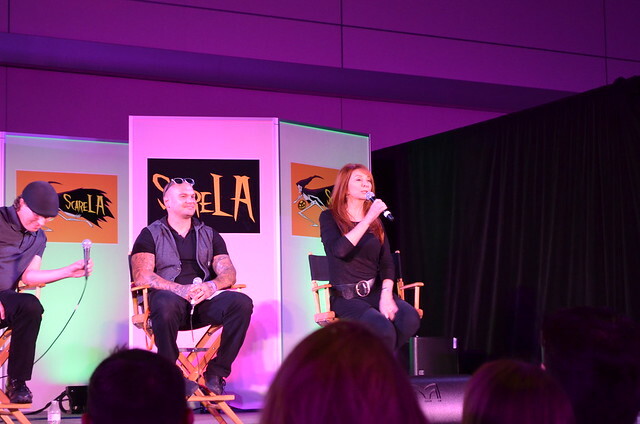 Knott’s also announced a new show featuring Elvira, her third year back at the farm. 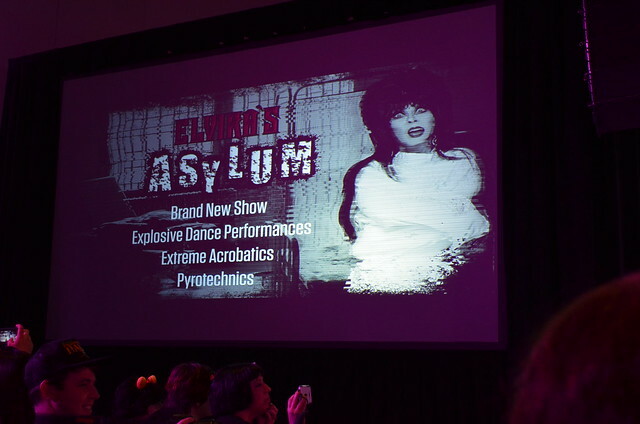 It is called ‘Elvira’s Asylum’ and I am very glad to see she will be having another show at the park. The park is also offering their popular season pass for the event. 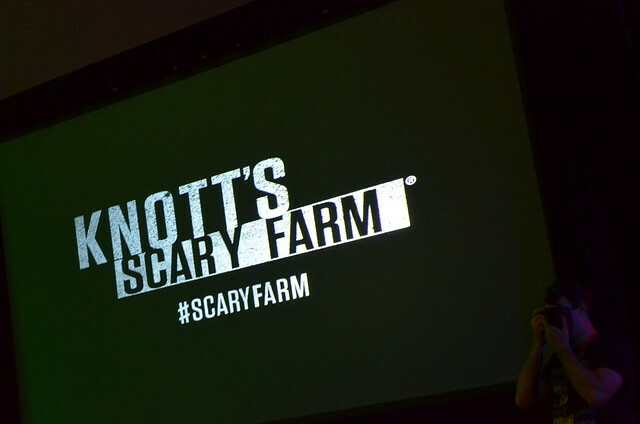 The park will be announcing more details about this year of Knott’s Scary Farm on August 26th at an Annual Passholder event. 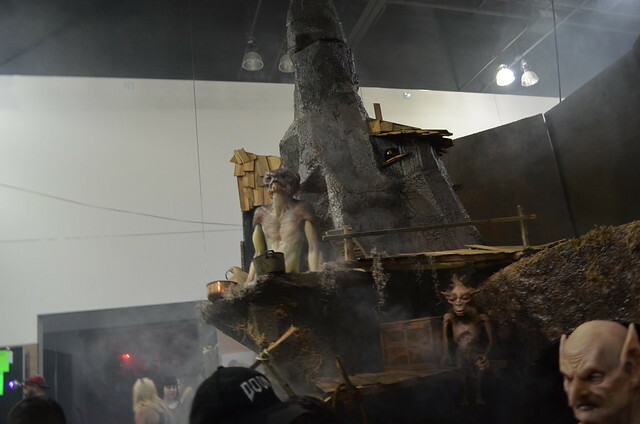 Unfortunately I wont be able to cover the event, so keep your eyes on our friends at HorrorBuzz.com with more details about Knott’s Scary Farm. 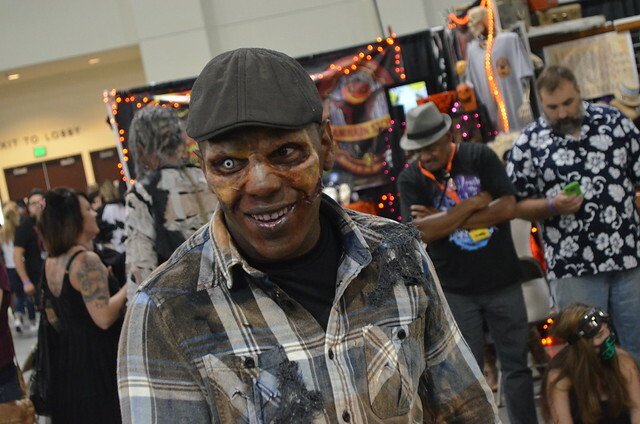 The other major section of ScareLA besides their presentations was the show floor. 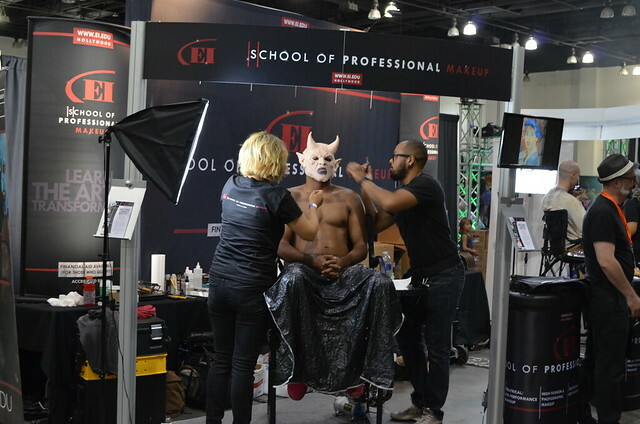 Many makeup and mask exhibitors along with lighting and fog machines. 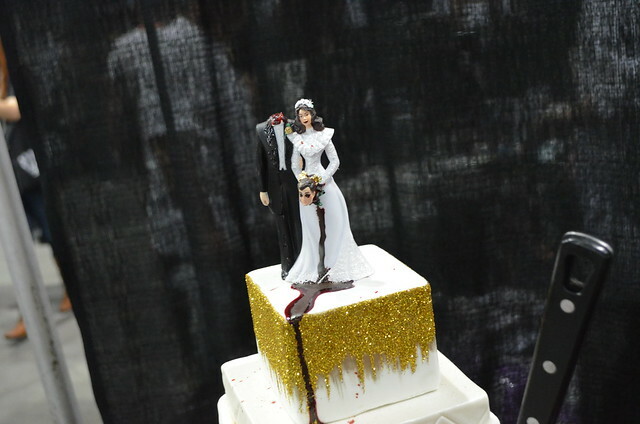 A personal favorite of mine was this ‘wedding’ cake. 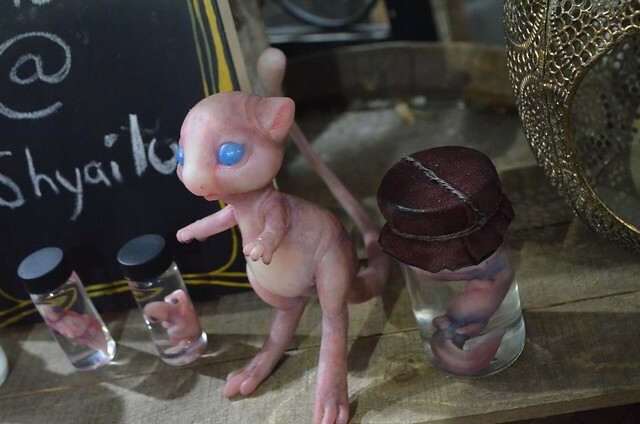 Our friends at Figment Foundry, many of their team also work at Garner Holt Productions. 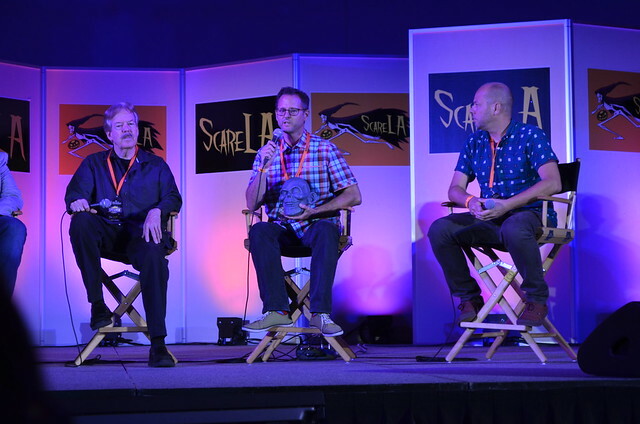 I would like to thank everyone at ScareLA for putting on a spectacular event and letting us attend. 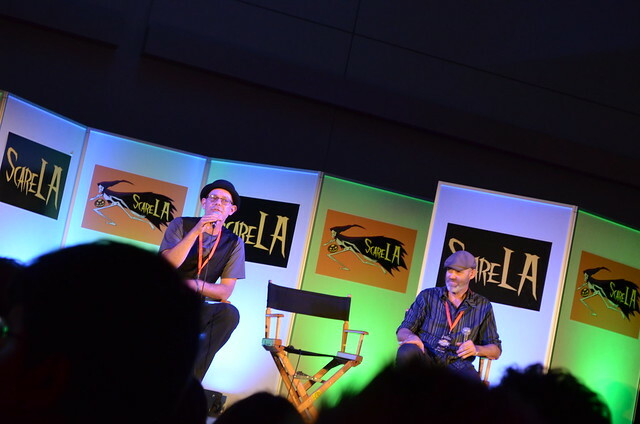 ScareLA was a total blast and can’t wait for the haunt season to officially kick off int he coming weeks!